The base SXT trim of the Dodge Durango is equipped with 3.6L Pentastar V6 engine, available all-wheel drive (AWD) for $29,995 MSRP. The SXT Plus adds an eight-way power driver’s seat, bright roof rails, and SiriusXM satellite radio, It’s available starting at $32,195 MSRP. 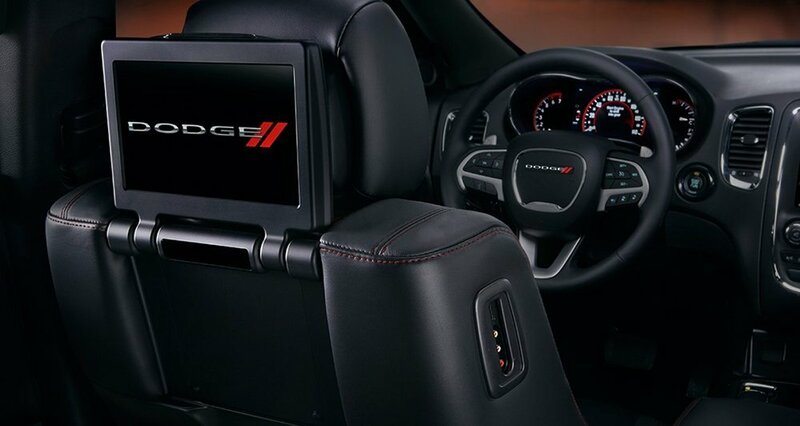 The Durango GT features leather-trimmed bucket seats and heated first and second-row seating starting at $37,495 MSRP. The Citadel trim adds Nappa leather-trimmed seats, dual exhaust with bright tips, and polished aluminum wheels starting at $41,395 MSRP. The R/T brings increased performance with a 360-hp 5.7L HEMI V-8, and Uconnect 8.4 navigation for a starting price of $42,095 MSRP. Three-Row Seating: Three rows of full-sized seats provide enough space for as many as seven adults. Multifunction Steering Wheel: Drivers can easily access the instrument cluster controls, phone commands, paddle shifters, and cruise control from the multifunction steering wheel. Rotary Shift: In place of a standard shift knob, drivers can easily change between gears with a convenient Rotary E-shift, located between the driver and front passenger. Rear-Seat Entertainment: An optional rear-seat system with two 9-inch flip up monitors plays videos or games independently, making it easy to entertain backseat passengers on long trips. Wi-Fi Hotspot: An available Wi-Fi hotspot provides 3G connectivity to compatible devices for access to important content on the go. Driver Assist: Advanced safety features that include backup assist, rain brake support, brake assist, electronic stability control, rain-sensing wipers, and blind spot monitoring protect against the unexpected. Test drive any of the Dodge Durango trim levels at Green Dodge. Contact us today or visit our showroom at in Springfield, IL to find your perfect match and learn about financing options.